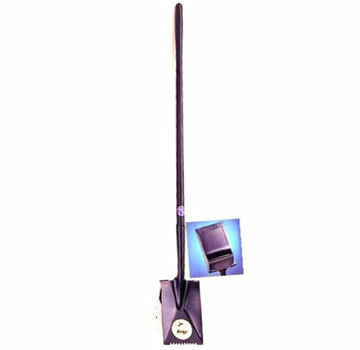 PRODUCT: #3 TEAR-OFF SPADE, SMOOTH EDGE, 6" x 11" HEEL, 48" SOLID FIBERGLASS HANDLE, FOXY BRAND. PRICE/EACH. 48" fiberglass handle, made with solid fiberglass core and a polymer cover. Heel designed for dependability, and is most popular heel of choice for shingle roof tear offs. 11 gauge steel plate heel, measuring 6" x 11"